I also have a Kodak Z-980 and I have found no IS deficiencies at at full zoom as well. 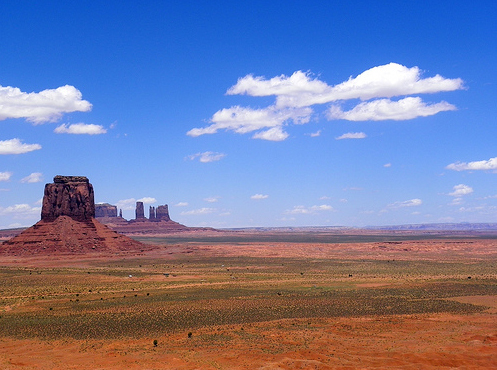 Here is a sample photo taken in Monument Valley at full zoom. Thanks for your kind words. I have a friend that has the P-80. I had a chance to play with it and that's what prompted me to sell my Oly SP-570 and get the P-90. It seems IS is getting better & better on quite a few of the prosumer range cameras. Good news. I agree IS has gotten much better in the last couple of years. I already have too many cameras, so I decided to pass on the Nikon P-90 and stay with my Nikon P-80, which is still an excellent camera.